Creating action plans can help you establish better project processes that can improve your relationship with your project stakeholders. More so, having project action plans at hand can help you be prepared in maximizing your strengths and improving your weaknesses while implementing call-to-actions prior to their deadlines. If you want to be strategic and tactical within the development of your project, it will be best if you will make a comprehensive project action plan that can elaborately present the specifications of your needed project functions, activities, and resources. 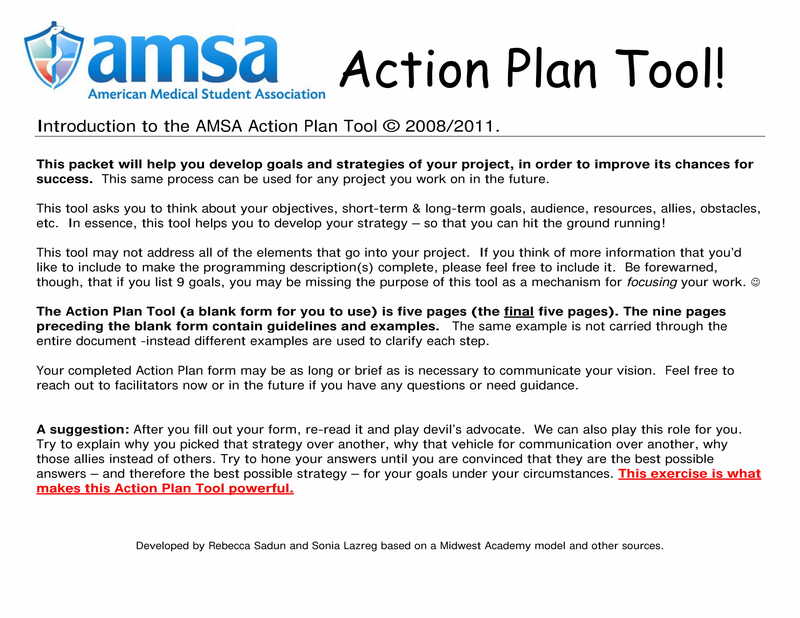 A project action plan can help you translate your ideas into actual steps which can define the direction of the project. This document should be created in a way that it reflects all the things that are needed to be done as well as the time that your team has to fulfill their responsibilities. 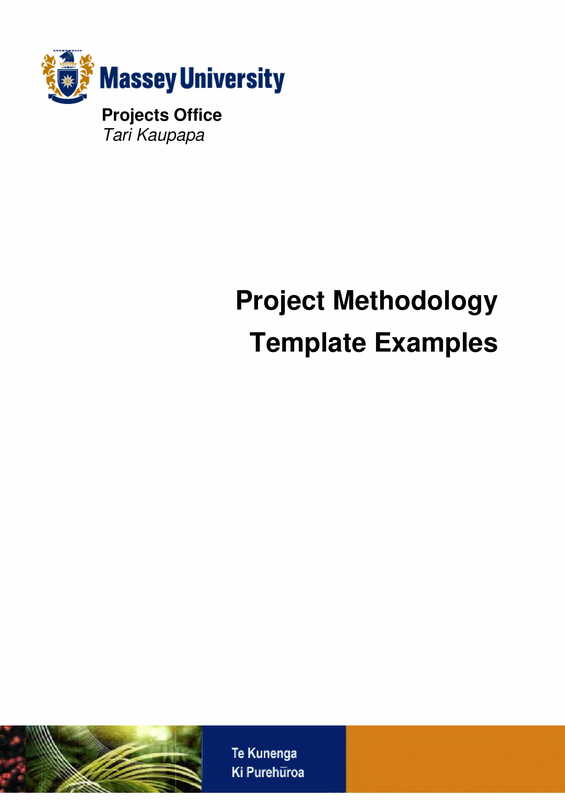 It will be easier for you to come up with a great project action plan if you will use references or guides like downloadable examples and templates. 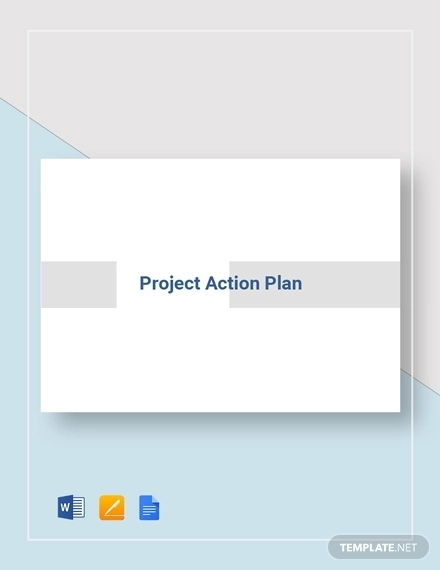 We got you covered with a selection of project action plan examples in PDF that are usable in a variety of project processes and natures.You may also see team action plan examples. 1. You have to be critical when identifying the time duration that you will use for the implementation of your project action plans. Timeliness plays a vital role in dictating your successes, which is why you need to come up with time frames that are relevant and aligned with the project operational deadlines and other needs or demands of your business and team. 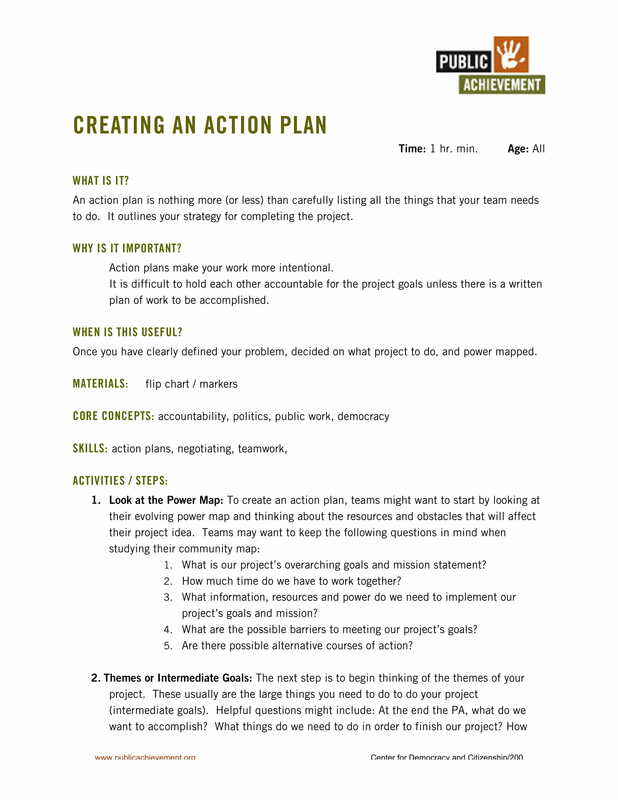 Being able to create a project action plan that works best with the time table and project strategies of your team can help you have an easier time when executing your plans of action. You can use a daily action plan to guide you on your progress. 2. If there is an approved project proposal at hand, ensure that your project action plan will be based on the specifications and demands of the former. As an example, using an information technology project proposal that has been reviewed and approved by your clients as a guide for the creation of your action plans for a given IT project can help you align and incorporate your activities with the expectations of your stakeholders. 3. It is essential for you to be aware of how you can maximize the presence and usage of the project action plan elements that you will work on. You need to set a direction that will lead to the effective implementation of your project call-to-actions. In this manner, the entire project team can benefit from the positive results of your successes. Being focused with what you would like to achieve and the ways on how you can achieve your project objectives is a great practice whenever you are developing a particular project action plan, may it be for your clients or even for a small and simple project that your business needs.You may also see business action plan examples. 4. Find ways on how you can be able to benefit in the highest level from your resources and efforts. 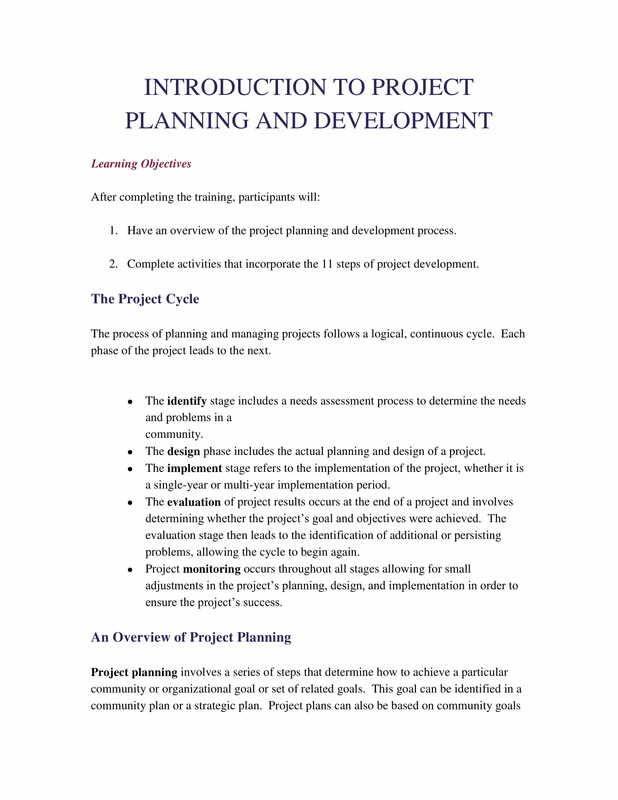 You have to identify the things that you need and the items that will allow you to reach your desired project goal without overspending, feeling the need to hire more people within the duration of your project action plan implementation, and/or finishing the project days or even months after the given deadline.You may also see project plan examples. 1. You have to be precise when discussing the activities that you would like your project team to do. Set priority or key procedures and ensure that there will be a proper work designation that can ensure the smooth flow of your project operations. 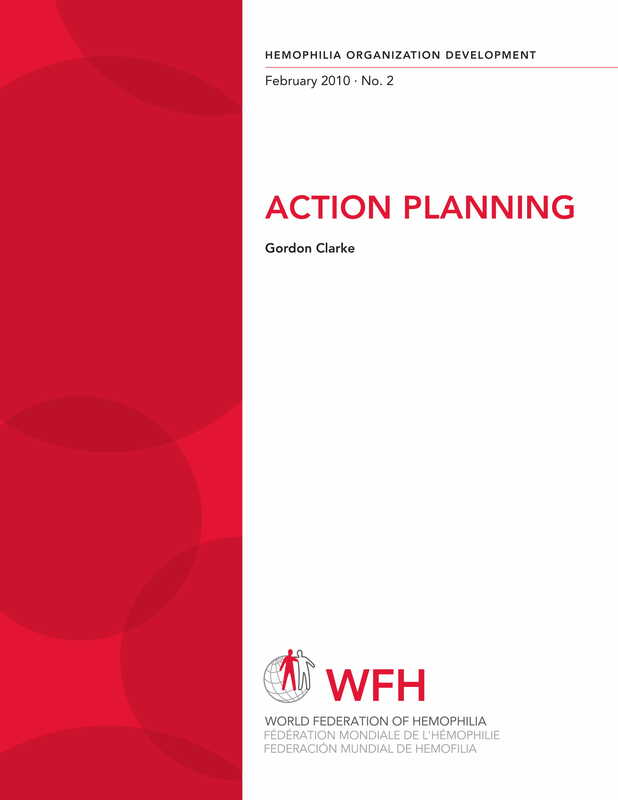 To serve as an example when using other kinds of action plans, ensure that your incident action plan contains all the responsibilities of every department and key personnel when incidents are needed to be looked into and acted upon. 4. Create goals and objectives that have a SMART approach. All your project goals must be specific, measurable, attainable, relevant, and time-bound. These characteristics are essential to be seen in your project action plan so that there will be higher chances of future successes for you and your project team. You can use SMART action plans to further aid you. 5. It is actually all right to use references. The only thing that you have to be keen and observant about is how you will use these references. 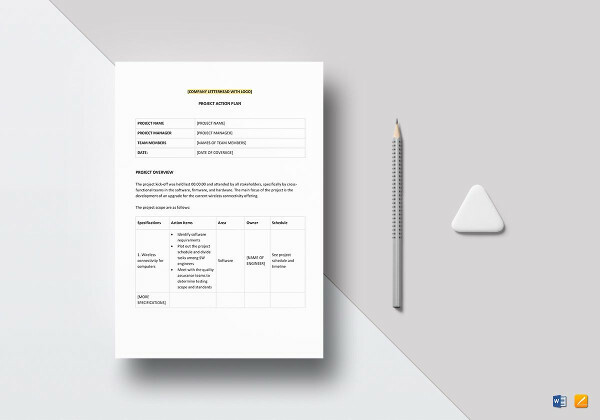 As an example, downloadable templates should still allow you to layout the document in a way that you would like your presentation to flow. You can get format inspiration from templates but these references should not limit or hinder you from tweaking other areas or structure of your discussion. Do not copy or rely on everything that is given by your content and format guides. 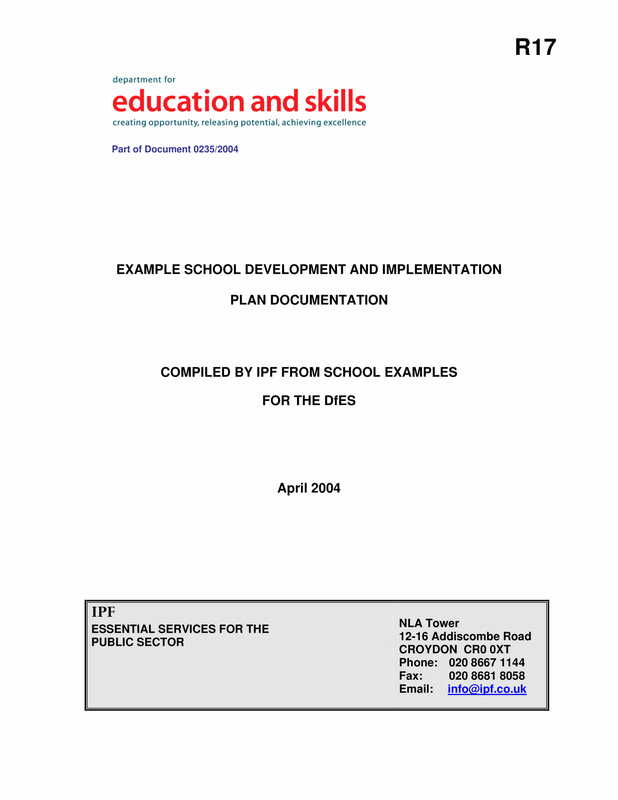 You might also be interested in action plans for students. Is Your Project Action Plan Both Efficient and Effective? 1. The project action plan that you will create must be based on the vision that you want to realize and the goals that you would like to achieve. There should be an alignment with your current condition and the project condition that is in your mind. In this manner, you can ensure that your desired output can be considered every time you move from one project step to another. You might also be interested in affirmative action plans. 2. The project action plan that you want to use must have an objective that is realistic. Even if you have the best project team or if you have an organized process for project phase development, it will still be hard for you to reach your target if you will develop action plans that are unattainable. When creating an objective for your project action plan, always consider the outputs that you expect not only for the overall project but also from all the entities who will be involved in your project processes. 3. 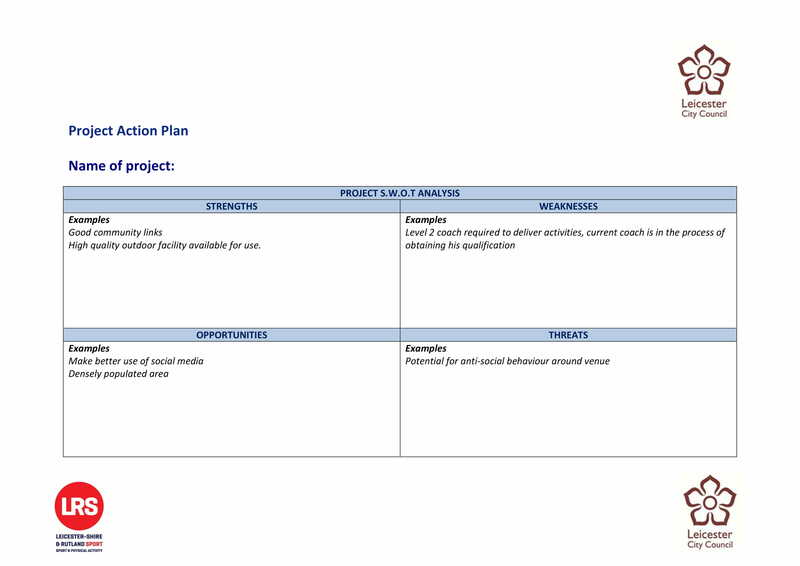 The project action plan, like a massage therapy business plan, must be consistent in reflecting the quality standards that you will incorporate in your project activities. You have to plot your procedures accordingly so that you can identify the ways on how you can maintain the quality of all your project areas. 4. 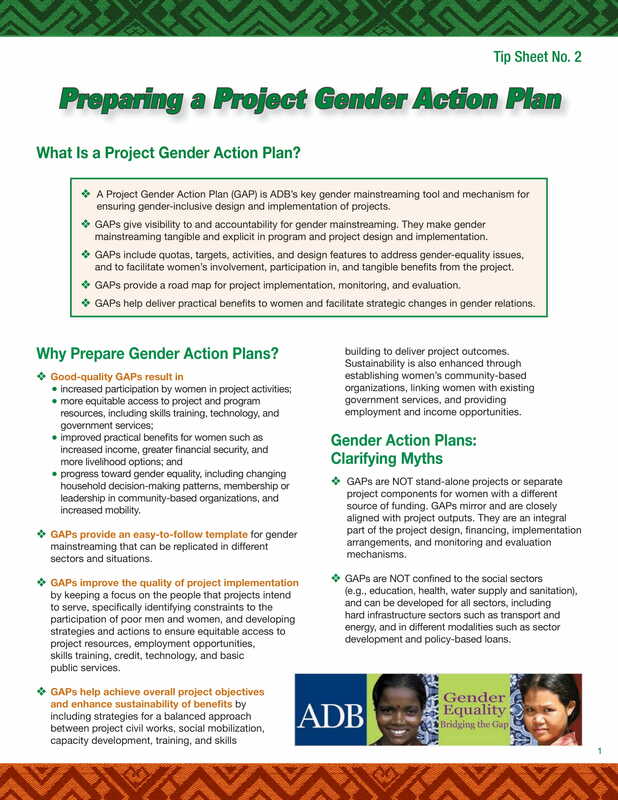 The project action plan that you will use as a guide must not only present your call-to-actions. It should also be able to describe the functions that you want each stakeholders to fulfill as well as the description of all the activities needed to be done for your project to be deemed a success. 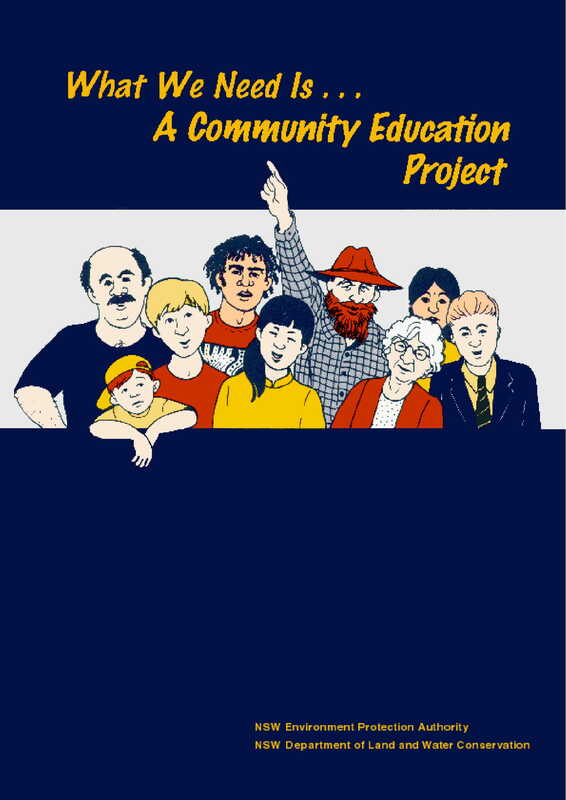 You can also check out teacher action plans. 5. 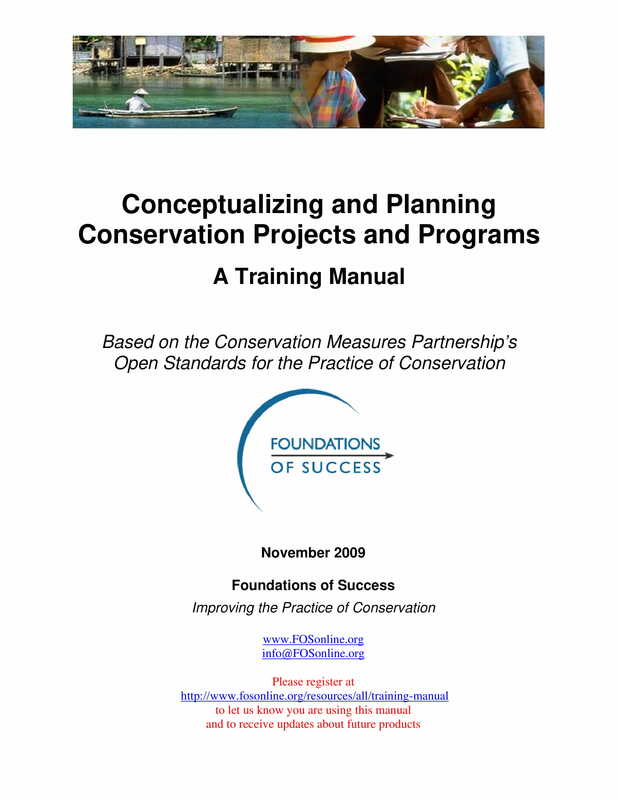 Develop a measurable time frame where certain project activities will be done. You also have to consider the cost of the processes in every phase of the project so that the clients or your business can be aware of the financial support that you need so that you can implement your project action plan in a timely manner.You may also see marketing project plan examples. 1. The first thing that you need to do is to clearly define the things that you would like to achieve. 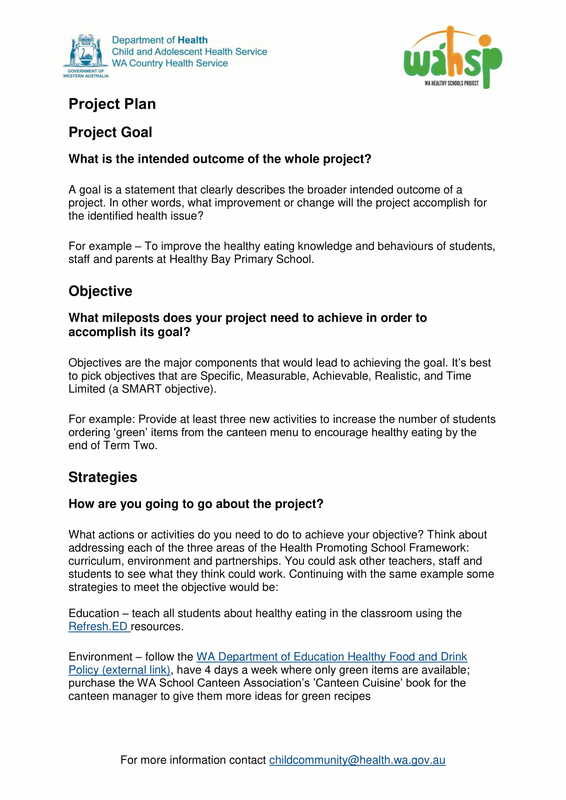 Set the milestones that you would like to get with the help of the project action plan. With this, you can make sure that you can execute project steps that are beneficial in terms of getting your goals and objectives. 2. List down all the key activities, responsibilities, and tasks that will allow you to bring a project idea to life. You have to know the main functions that will allow your project to be realized in consideration of time constraints, financial capabilities, and resource availability. A budget action plan could be useful here. 3. 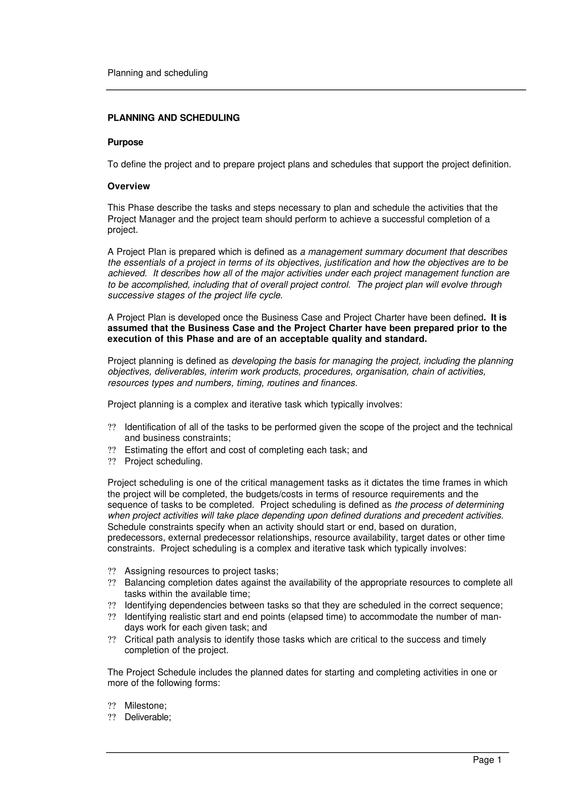 As we have specified above, presenting all the tasks within a project action plan is not enough. You have to break these tasks into their minute details so that you can ensure that your project team has a full understanding on how to implement particular work functions. You have to look into the project action plan content as something that is understandable and manageable so that any reasonable person who will browse through the document can be well-guided. Creating a simple action plan would be best. 4. Once you are already sure that your project activities are set and you would like to see them in the action plan document that you are making, the next thing that you need to accomplish is the sequence clarification of these items. Start by making a timeline from the project’s starting date up to its expected completion. The duration of your project development can also dictate the length of your project action timeline. If you can develop a timeline in this manner, it will be easier for you to arrange your tasks based on the time frames of every project phases. 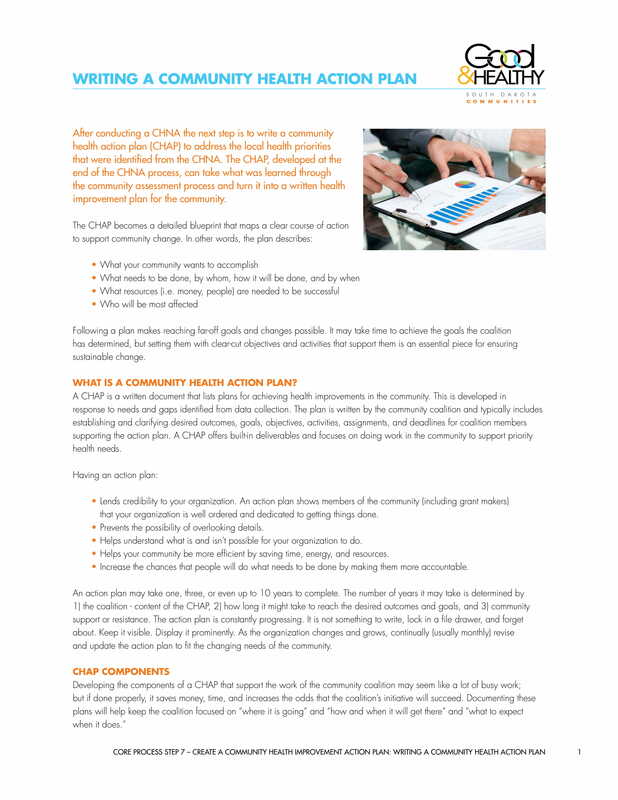 You might be interested in printable work action plans. 6. Finalize your project action plan by ensuring that all tasks are already designated and that all project requirements are already covered within a given time frame. Look for lapses, inconsistencies, or any errors that you think are needed to be removed prior to the document’s actual usage. You might also want to take a look at biodiversity action plans. Since there are a number of industries that use project action plans, the procedures of project action plan development may not always be the same. The step-by-step guide above is only a simple or basic reference that will allow you to come up with a standard project action plan. 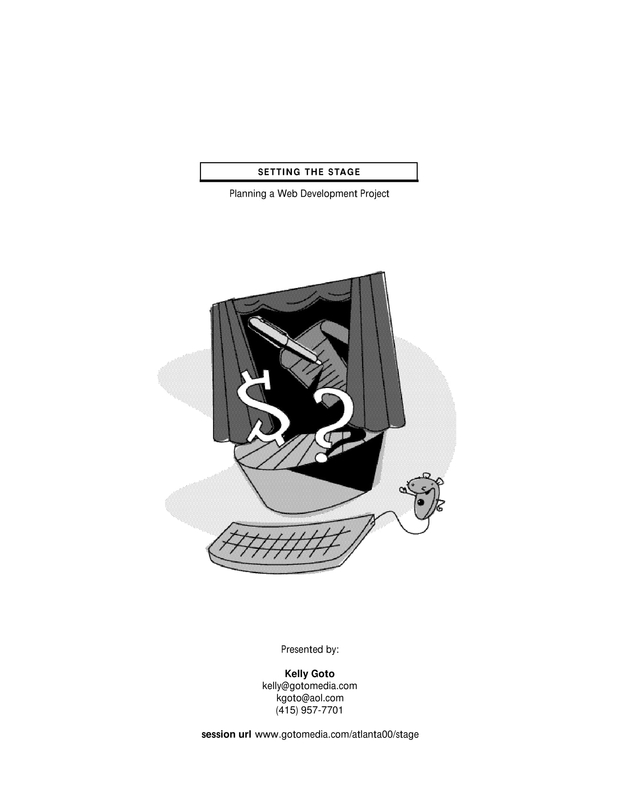 It still depends on your project team on whether to add or remove any information based on the things that your project action plan should achieve.You may also see sales action plan examples. 1. A project action plan can help you bridge the gap between the current and desired conditions of the project. Knowing how far you need to go will enable you to be prioritize all the key factors and elements that can help you achieve the project output needed by your clients and/or other stakeholders. The degree of the project action plan’s implementation will also consider the gaps that you will identify especially with regards time and resource concerns. 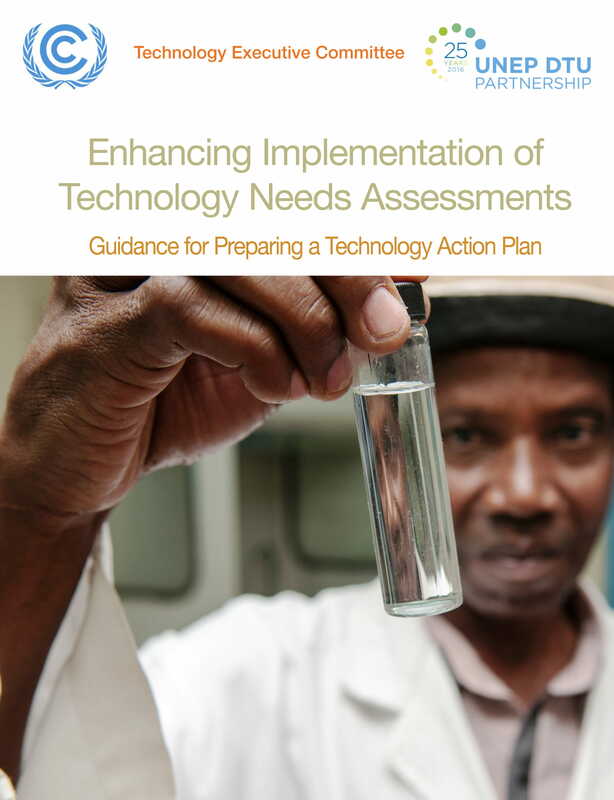 You might also want to check out mentoring action plans. 2. 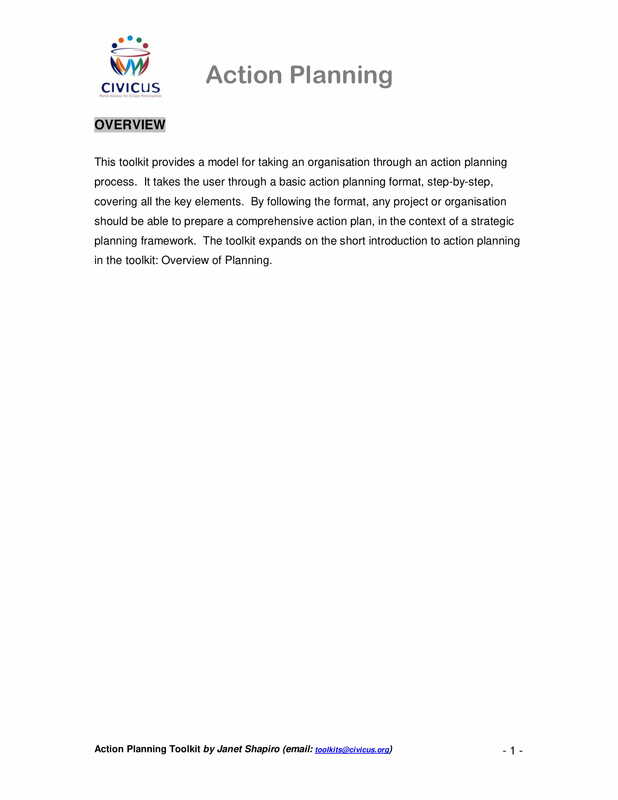 A project action plan can list down all your strategies and tactics. It is not enough for you to have plans of action. 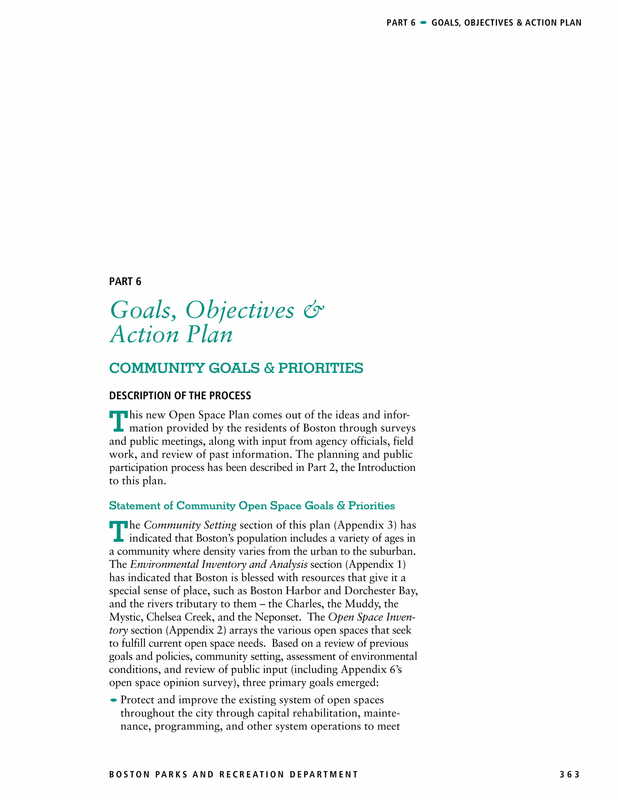 Having strategies is also important as this will allow you to be realistic while ensuring that your end goals can still be achieved even with the presence of project threats and risks.You may also see community action plan examples. 3. A project action plan can help you identify the missing links or items of your project development processes. This can present all the capacities that you still need to acquire so you can get the result that you would like to have. With this, you can easily allocate your efforts and time in completing all the project requirements rather than immersing in activities that do not really heavily contribute with the project’s development. 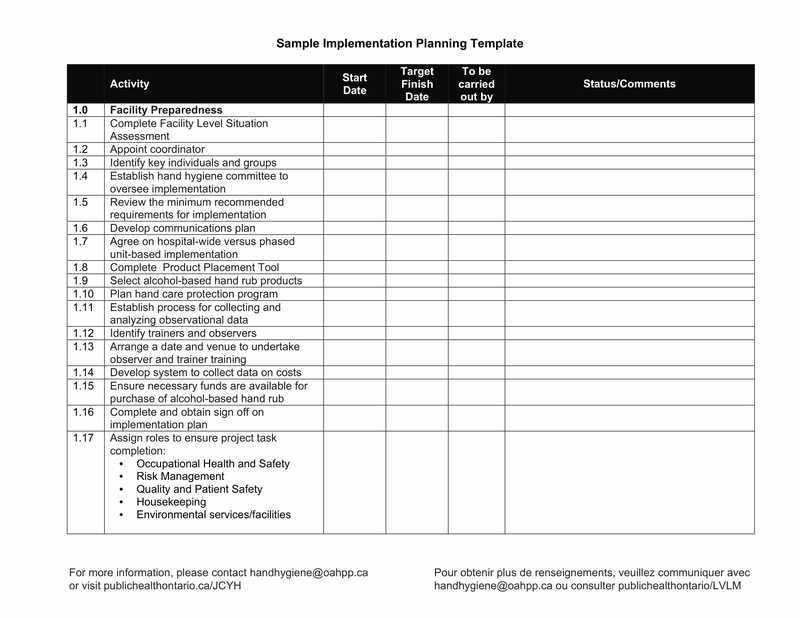 You may also see reconciliation action plans. Thinking on Whether to Make a Project Action Plan or Not? 1. Just like when making a weekly sales plan, allow your project action plan creation to be a collaborative process. Talk or set a meeting with the stakeholders of the project so they can feel that they are considered when thinking of ways on how to finalize the project action plan that you will use. This can help you promote a lasting and healthy professional relationship that can open doors to new project transactions and other future possibilities. 2. Make sure that all the details that you will put in the project action plan are based on the specifications of the project. Do not include any unnecessary project plans and information as it can only weaken the document’s content implementation. Ensure that you will browse through your final project action plan draft a couple of times so you can identify whether there are still items that are needed to be removed or if you have forgotten to include important items and call-to-actions. 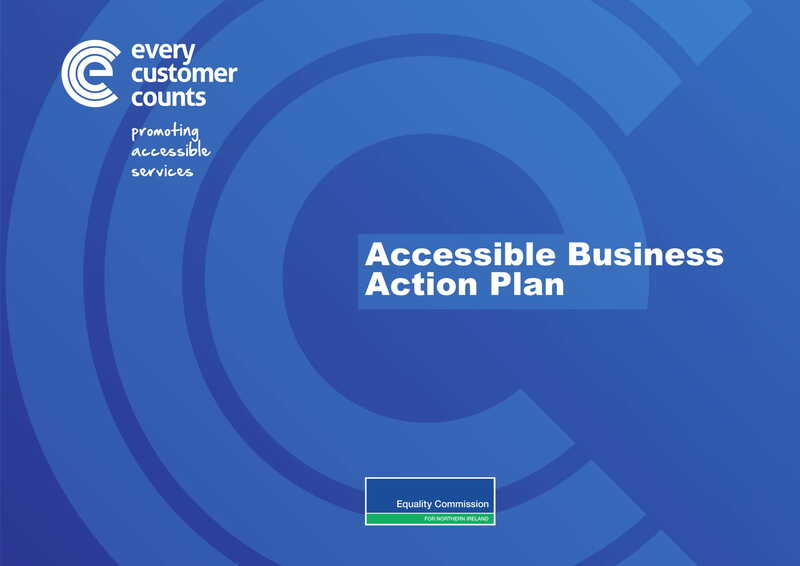 Take a look at 90-day action plan examples. 3. Do not be vague or too general when presenting plans of actions. You have to be detailed especially when giving information about the short-term and long-term objectives that you would like to achieve. Setting a precise and clear direction can help you manage your team in the best way possible. 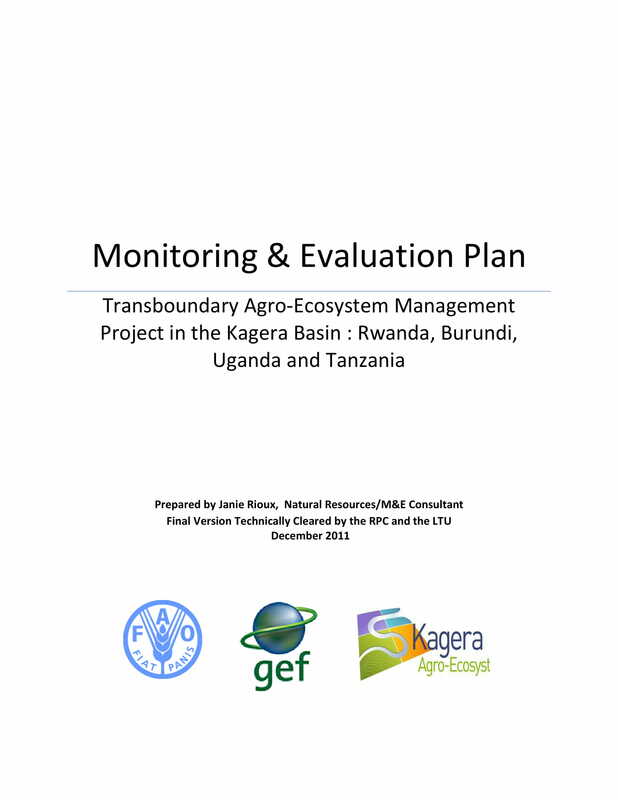 This can also increase efficiency as all inquiries and concerns about the project action plan’s usage have already been settled.You may also see research plan examples. 4. Set strategies and tactics that are aligned with the particular project that you are working with. You may utilize strategic action plans to help you. Define your strategies and allow your stakeholders to be aware on how these strategies can help the development of the project from one phase to another. This will result to the full-organization of your project’s processes especially if you can have segments for each project phase discussion. Once you have already decided to create an action plan for the project that you are working on, try to look into this discussion again and browse through the downloadable examples that we have listed. It may be an added chore for you but we assure you that the basic discussion and examples in this post can help you a lot if you want to come up with a highly functional document. Do not hesitate to use the references that we have freely given you with and begin the creation of your project’s action plans.